There is a new discounted DVD available for sale this month in the United States, featuring a unique vintage looking cardboard slipcover that really caught our eye. Unfortunately, other than the new artistic slipcase, nothing else new comes included in this DVD re-release. 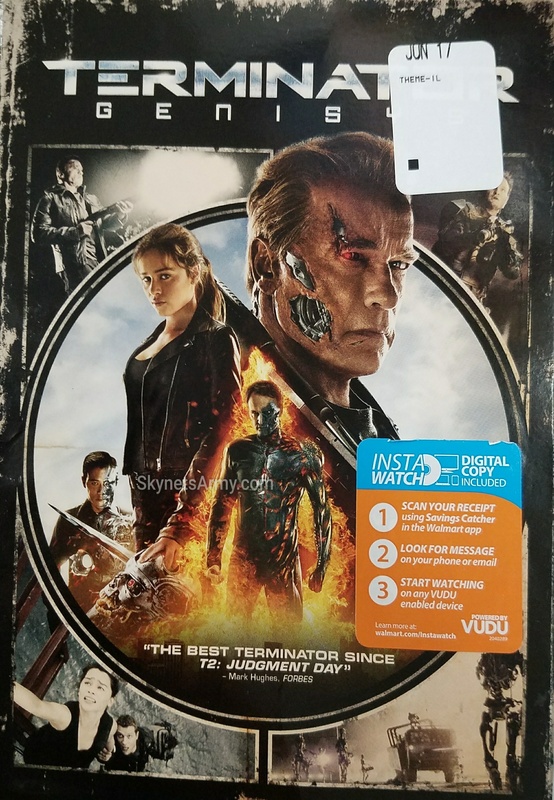 The most exciting among these new home video re-releases of “Terminator Genisys” has to be the 4K Ultra HK discs. 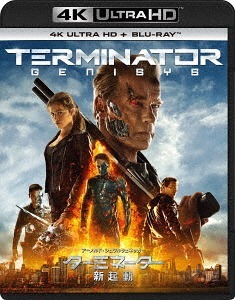 A release limited to countries like France, Spain and Japan, some of the 4K Ultra HD discs have been reported to be region free which technically means it’s compatible with players in any country. 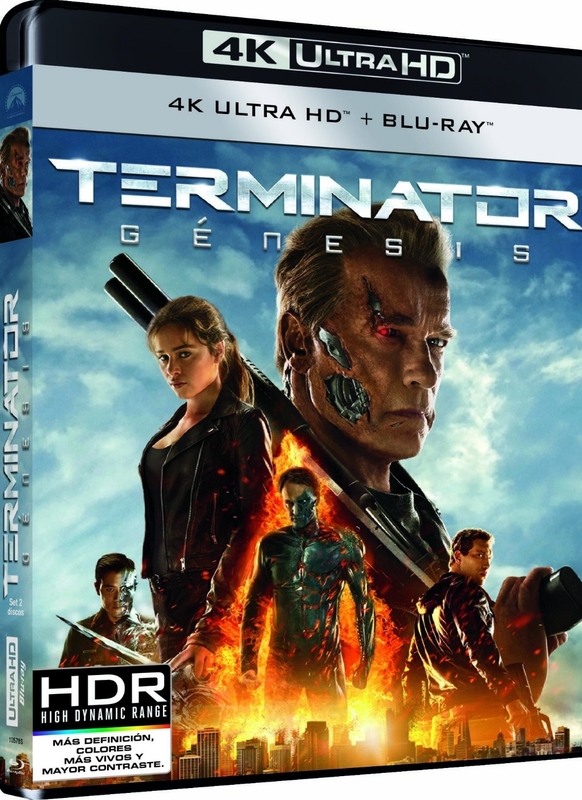 Featuring an excellent 4K presentation, this transfer comes highly recommended and reportedly noticeably improves the film’s image quality, especially the black levels compared to the standard Blu-ray release. 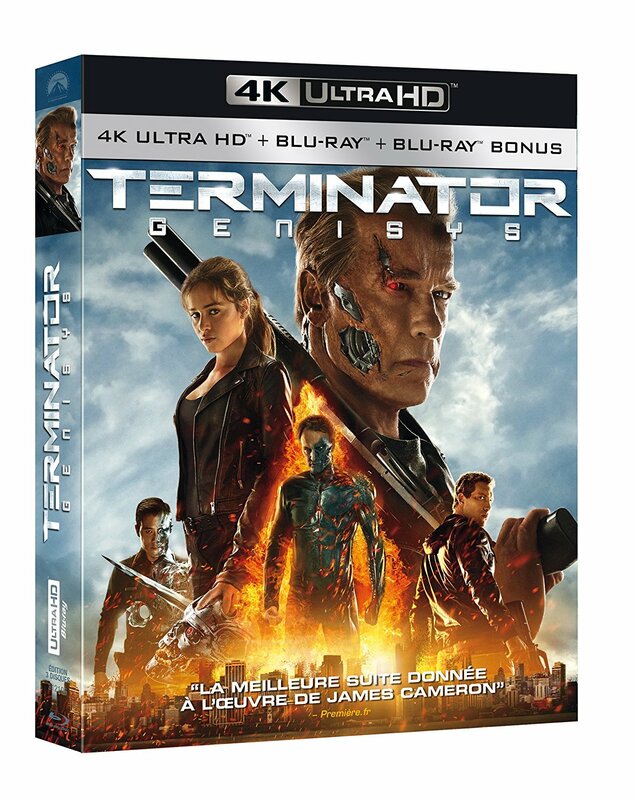 But just like the DVD before it, these 4K releases will not contain any additional special features. 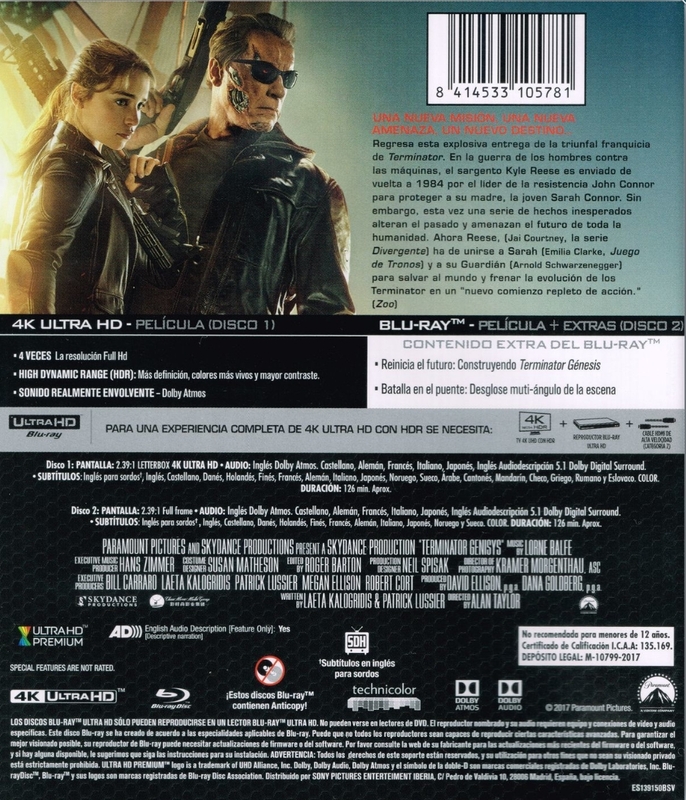 The only difference is the uptick in the quality these 4K discs provide. 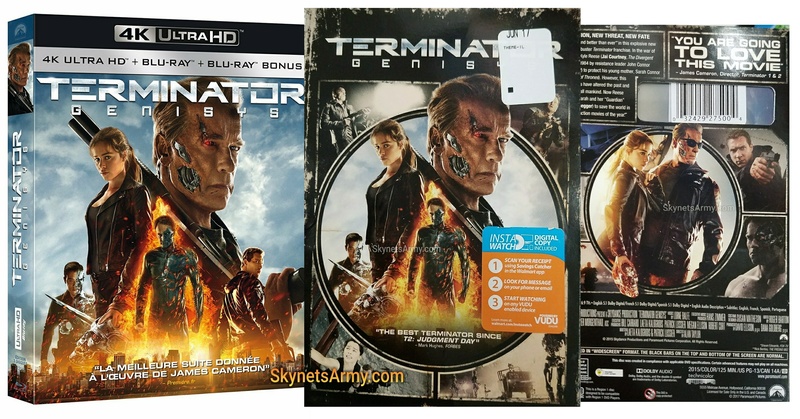 We continue to hear rumors of a new special edition of “Terminator Genisys” being planned, that will contain all new special features including a much desired deleted scene featurette. But until that release becomes a reality, these versions will have to do. 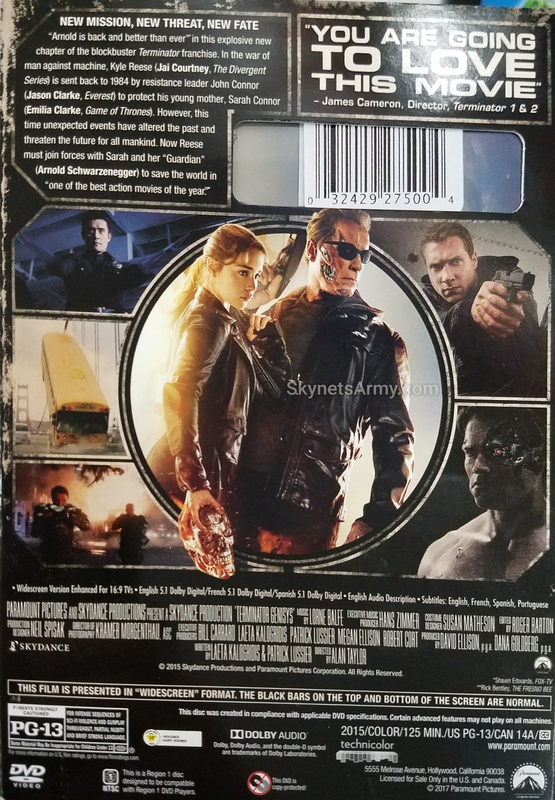 Previous PostHero Complex Galaxy releases new official “TERMINATOR 2” Licensed Prints!Next PostTaking a closer look at T2 sketch cards from the upcoming “TERMINATOR 2” official trading card set by Unstoppable Cards! Will 4K show on a normal player or do I need a new player? You would need a new player, one that can support 4K Ultra HD discs (as well as a compatible television to play it on). We hope that helps.